riding a motorcycle, or practicing at the shooting range, kids also need a high quality pair of eye wear for some of their activities, especially if those kids are athletic. If your child wears conventional prescription lenses on a daily basis, it makes sense that they would still need corrective lenses when they are doing something more active such as playing soccer or going swimming. That is where prescription safety glasses come into the picture. When your kid is participating in athletic activities, they need protective eye wear that will securely guard their eyes and not get broken during a game. So if you are in the market for the right pair of prescription safety glasses for your kids, look no further! In this post, will go over a few questions to ask yourself before buying a pair of prescription safety glasses for your kid. For What Purpose am I Buying These Prescription Safety Glasses? Chances are that if you are buying a pair of prescription safety glasses for a young child or teen, they won’t be wearing them for their 9-5 welding job or when taking their motorcycle out on the road. The main reason behind so many prescription safety glasses for kids is primarily to shield their eyes during sporting events and other athletic activities. And perhaps your child doesn’t participate in organized sports, but is a highly active youngster who plays long hours outside. If the child is quite a bit younger (such as under eight years of age) and requires a corrective lens, it is understandable that most parents want their young one’s eye protected so that if they fall down, an object hits their eye, or they bump into something, their eyes will be shielded from any harm. How Comfortable Are They? The unfortunate reality of prescription safety glasses, usually ones that are cheaply made with poor materials, is that some of them don’t sit comfortably on a person’s face. And this is irritating for anyone, but especially problematic for a young child. If you invest in a pair of prescription safety glasses and they are uncomfortable to wear, there is a greater likelihood that it will be more difficult for you to convince your child to wear them when you need them to. If you are buying protective eye wear from a physical location, make sure to have your child try on several different pairs and inform you on which ones sit comfortably on their face without irritating their ears or slipping down their nose. If you are buying the protective eye wear online, look for specific features such as temple bars, nose pads, and other elements that will clearly make the glasses more comfortable. Are They a Style That My Child Will Like? It is no great secret to any parent that kids can be incredibly particular about what they want, from their chicken nuggets to mismatched shoes and even their protective prescription eye wear. If you invest in a pair of protective prescription glasses only to discover that you are having a hard time ever getting them to wear the glasses simply because they are yellow, it ends up being a waste of time, energy, and money. Though it isn’t the most important priority, if at all possible, have your child present with you when you are buying their protective prescription eye wear. This way they can tell you whether or not they like the glasses based on style, color, and fit. 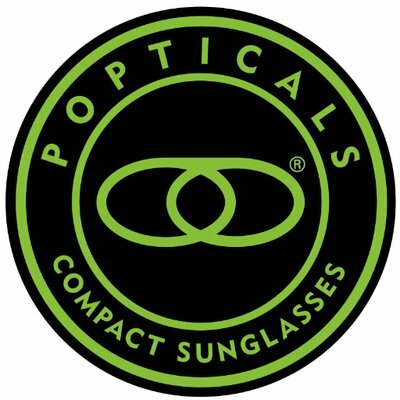 What Protective Features do The Glasses Offer? Naturally, you are buying your child protective prescription eye wear because you want them to one, see with complete clarity and two, ensure that their eyes are as fully protected as possible. But what elements are needed to create eye wear like this and how do you know what to look for? When doing your shopping, look for protective prescription glasses that have frames constructed with a durable, yet lightweight material. You want something sturdy that won’t break easily and will last your child for many years, but you also want something that feels relatively weightless so it won’t weigh on their face and cause discomfort. For the lenses, the first priority is finding something that offers the prescription that you need for your child, whether it is single vision, double vision, bifocals, or something else. Once you have the right corrective lenses, look for something that offers shatterproof protection, high impact protection, and scratch-resistance. After all, if you are buying prescription safety glasses for your child’s physical activities, those glasses will need just as much protection as your child’s eyes. Additionally, if your child will be wearing the glasses outside in hot, sunny climates, you might want to invest in tinted lenses, transition lenses, or anything that offers the proper amount of both UVA and UVB protection. How Do They Fit? Fit is important not only because the way it fits determines how comfortable the glasses are, but because it will also determine how secure the glasses are. If frames are too large for your child’s head, they will obviously be too loose to sit correctly on their face. 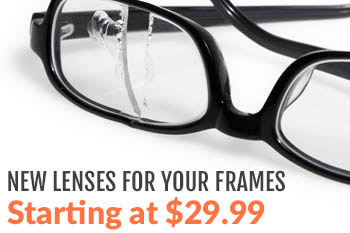 And clearly, if the frames are too small, your child won’t be able to get them on at all. This is why it is always a good idea to have your child try on a few different pairs before just purchasing the first one you or your child sees. And if you are buying the glasses online, make sure to look out for size details. If you are having trouble determining whether or not the glasses will be a good fit for your child, don’t hesitate to reach out to a customer service representative for assistance. Am I Buying Safety Eye Wear For Water Sports? Most parents don’t realize that children who wear glasses with prescription lenses can still wear prescription lenses under water. If your child competes on a swim team, engages in other water sports, or just loves living poolside all summer long, they don’t have to deal with blurry vision when they jump in or out of the water. If you are buying safety eye wear (usually goggles or a scuba mask) for water activities, you can check out the different options that are constructed with a corrective lens that is unique to your child’s prescription needs. Not only will having a prescription lens built into their swim goggles make their entire swimming experience more enjoyable, it will be much safer for them. They won’t have to worry about struggling to find their glasses after getting out of a body of water or not being able to see with complete clarity while under water. Looking for more advice on finding the right pair of prescription safety glasses for your kid? Don’t hesitate to contact us today or keeping reading our other blog posts for more information. You can also check out our official website and discover the vast selection of protective prescription eye wear for any purpose, be it swimming, motorcycle riding, outdoor activities, industrial work, welding, or anything else.